With just a week left to go in our Indiegogo pre-order campaign, we’ve made it to 25% of our target, with a flurry of activity in the last couple of days. Having broken through the £500 barrier is particularly significant, we’re now searchable on Indiegogo and unhidden from the public again, so we stand to reach a lot more people on Indiegogo who might wish to back us on our way. We’re so grateful to everyone who’s decided to invest in one (or more) of our products, and to everyone who’s liked a facebook post, retweeted us on Twitter, followed us on Pinterest, read our blog or been there for us through what is quite a stressful as well as exciting process. But we aren’t there yet! While we’ve now sold the equivalent of 25 t-shirts, we need to take pre-orders for another 75 in order to reach our first target, to release more designs in our collection and to help develop and grow our business, all the while ensuring that you get your t-shirts, badges and colouring books in good time. If you’re intending to buy but aren’t sure which designs are your favourites, don’t let that put you off. There’s no need to make your mind up on sizes or designs until after the campaign closes, when we’ll send you an email with all your options. Best of all, there are still a handful of t-shirts available at early bird prices, if you thought you’d missed your chance, think again! Now the countdown is on for our next key milestone of £1000 – who’s with us? Simply click here to visit Indiegogo and chose how many t-shirts you wish to buy – see you there! In the first of a series of events this autumn, you can find us at the Bake Outdoors. Our friends at the Children’s Wood in Glasgow are celebrating food and creativity at their home in the North Kelvinside Meadow. This wide oasis of calm and nature in the heart of Glasgow is a wonderful place to spend time and its events are always a huge success. Open from 12-5, the Bake Outdoors will have everything from home baking to mud pies. And us! Alongside a whole lot of friends from the Glasgow Etsy Team, we’ll be showing the samples from our collection, taking pre-orders and we’ll have a stack of goodies and some child-friendly activities on hand, too. 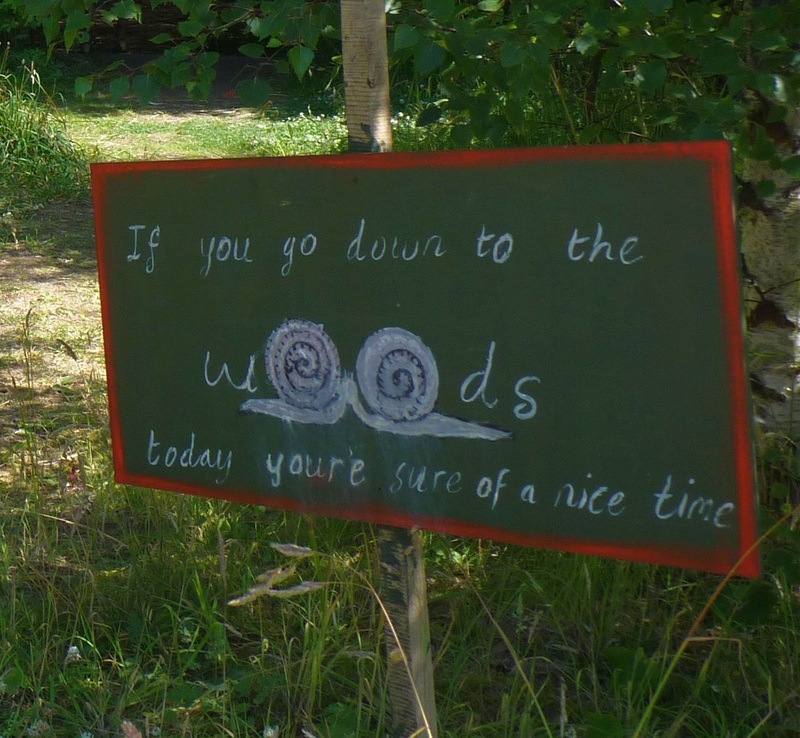 We’ll tell you more nearer the time, but why not pop over to The Children’s Wood website or their Facebook page for more info, and how to find us.